Geografi ; natur og klima ; demografi ; historie ; kultur ; kunst ; musik ; politik ; politiske partier ; forsvar ; fredsbevægelser ; religion ; sociale forhold ; uddannelse ; økonomi og våbenhandel. 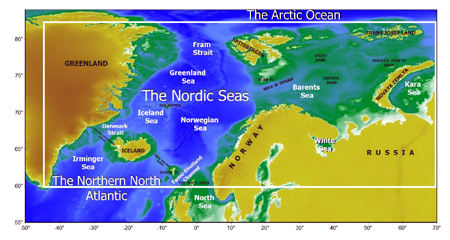 Geografi: Europa er et kontinent med grænser til Asien og med kystlinjer til Atlanterhavet - herunder GIUK-passagen, Middelhavet, Nordsøen, Sortehavet og Østersøen. Havområder, der hører under EU-medlemsstaternes overhøjhed eller jurisdiktion, omfatter havområder i Middelhavet, Østersøen, Sortehavet og det nordøstlige Atlanterhav, herunder havområderne omkring Azorerne, Madeira og De Kanariske Øer. 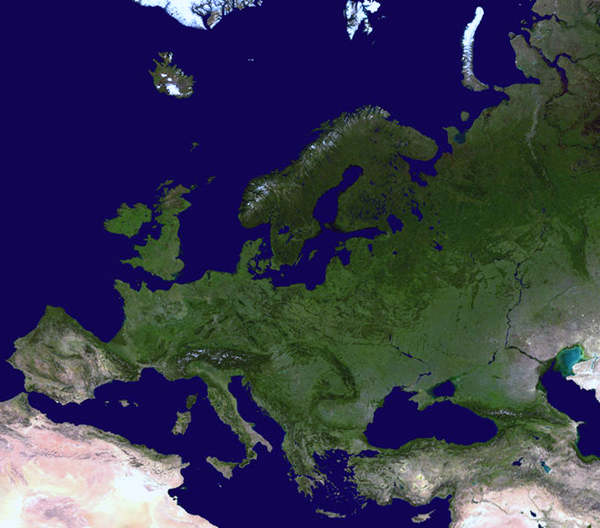 Geography: Europe is a continent with borders to Asia and with coastlines to the Atlantic Ocean - including the GIUK Pass, the Mediterranean, the Black Sea and the Baltic Sea. Sea areas under the sovereignty or jurisdiction of the EU Member States include marine areas in the Mediterranean, the North Sea, the Baltic, the Black Sea and Northeast Atlantic, including the Azores, Madeira and the Canary Islands. The map of Europe by Treaty ; showing the various political and territorial changes which have taken place since the general peace of 1814 (1875). Der geschmiedete Himmel : die weite Welt im Herzen Europas vor 3600 Jahren ; Begleitband zur Sonderausstellung, Landesmuseum für Vorgeschichte, Halle (Saale) vom 15. Oktober 2004 bis 24. April 2005, Dänisches Nationalmuseum, Kopenhagen vom 01. Juli 2005 bis 22. Oktober 2005, Reiss-Engelhorn-Museen, Mannheim vom 04. März 2006 bis 09. Juli 2006. / : hrsg. von Harald Meller. - Stuttgart: Konrad Theiss, 2004. Det galliske imperium (Imperium Galliarum), 260-274: Frankrig, Luxembourg, Belgien, det meste af Schweiz, dele af Norditalien samt dele af Holland, Tyskland på Rhinens vestbred og Storbritannien. EuroDocs: Online Sources for European History : Selected Transcriptions, Facsimiles and Translations. Handbuch der historischen Buchbestände in Deutschland, Österreich und Europa. / : Hrsg. von Bernhard Fabian. Digitalisiert von Günter Kükenshöner. Hildesheim: Olms Neue Medien 2003. Sources for the history of medieval Europe from the mid-eighth to the mid-thirteenth century, translated and edited by / : Brian Pullan. - Oxford : Basil Blackwell, 1966 ; 1971. 'The Council of Europe/ERICarts "Compendium of Cultural Policies and Trends in Europe, 13th edition", 2012 is a web-based and permanently updated information and monitoring system of national cultural policies in Europe. It is a long term project which aims to include all 50 member states co-operating within the context of the European Cultural Convention'. A Guide to European Museum Statistics. / : Monika Hagedorn-Saupe ; Axel Ermert. - Berlin : Institut für Museumskunde, Staatliche Museen zu Berlin - Preußischer Kulturbesitz, 2004. Early European Books is a collection of many works printed in Europe before 1701, from some of the most prestigious historical libraries of Europe, including The Kongelige Bibliotek (Royal Library, Copenhagen), The Biblioteca Nazionale Centrale di Firenze (National Central Library of Florence, Italy), The Koninklijke Bibliotheek (National Library of the Netherlands), The Wellcome Library, London and the Bibliothèque nationale de France (National Library of France). The German Speaking Countries of Europe: A Selective Bibliography. Library of Congress, Washington, D.C., 1989. Kunst / Art, herunder art nouveau, 1890-1910 ; barokken ; renæssancen. Landskabet som verdensbillede : naturafbildning og kulturel evolution i Vesten fra hulemalerierne til den tidlige modernitet. / : Jacob Wamberg. Århus Universitetsforlag , Passepartout, 2006. Encyclopaedia of Celtic Mythology and Folklore. / : Patricia Monaghan. (Facts on File Library of Religion and Mythology), 2008. The guitar and mandolin : biographies of celebrated players and composers for these instruments. / : Philip James Bone. - London : Schott, 1914. Gypsy Music in European Culture: From the Late Eighteenth to the Early Twentieth Centuries. / : Anna G. Piotrowska. Northeastern University Press, 2013. Folkeforbundet, Bruxelles-pagten - under den kolde krig Antarktis traktatsystemet / Antarctic Treaty System, Benelux, EU, Europarådet, FN, det internationale energiagentur, det internationale havundersøgelsesråd ICES, NATO for nogle landes vedkommende, OSCE. Forsvar / militær: SIPRI: Militærudgifter / Military expenditure of Europe. European Bureau for Conscientious Objection: Annual Report: Conscientious Objection to military service in Europe. / : Researched by Martina Lucia Lanza. Edited by Derek Brett. Quaker Council for European Affairs: European Peace Directory. Ziemann, Benjamin: A Quantum of Solace? European Peace Movements during the Cold War and their Elective Affinities. In: Archiv für Sozialgeschichte. 49, 2009. pp. 351-289. A Survey of Involvement of 15 European States in the Iraq War 2003 (revised version). / : Hartwig Hummel. Parliamentary Control of Security Policy, Heinrich Heine University Düsseldorf, School of Social Sciences, 2007. Amnesty International: Årsrapporter, eksempelvis 2010. A report by the ILO’s International Institute for Labour Studies says a concerted policy shift towards job creation is needed in order to reverse the heavy unemployment crisis affecting the single-currency area. GENEVA (ILO News) – Unemployment in the Eurozone could reach almost 22 million over the next four years, up from 17.4 million, unless policies change course in a concerted manner, the ILO says in a report entitled “Eurozone job crisis: trends and policy responses” , 2012. - 56 s.
FN advarer: EU’s krisestrategi gør millioner arbejdsløse: Nedskæringspolitikken i eurozonen har slået fejl og må droppes, siger FN’s arbejdsorganisation, ILO, der venter 4,5 mio. flere arbejdsløse, hvis ikke linjen lægges om. / : Jørgen Steen Nielsen. Lagt på information.dk 12. juli 2012. Bragt i den trykte udgave 13. juli 2012 på side 1 i 1. sektion. Erhverv, handel og industri: Liberalisme ; merkantilisme. Græsk folkeafstemning om kreditorernes sparekrav 5. juli 2015. Handelshistorie: Macpherson, David. Annals of Commerce, Manufactures, Fisheries, and Navigation: With Brief Notices of the Arts and Sciences Connected with Them: Containing the Commercial Transactions of the British Empire and Other Countries, from the Earliest Accounts to the Meeting of the Union Parliament in January 1801: And Comprehending the Most Valuable Part of the Late Mr. Andersen’s History of Commerce with a Large Appendix, containing chronological tables of the sovereigns of Europe, tables of the alterations of money in England and Scotland, a chronological table of the prices of corn, and a commercial and manufactural gazetteer of the United Kingdom of Great Britain and Ireland; with a general chronological index and a commercial and manufactural gazetteer of the United Kingdom of Great Britain and Ireland; with a general chronological index. The Ancient Part composed from the most authentic Original Historians and Public Records, printed and in Manuscript ; and the modern Part from Materials of unquestionable Authenticity (mostly unpublished) extracted from the Records of Parliament, the Accounts of the Custom-house, the Mint, the Board of Trade, the Post- office, the East-India Company, the Bank of England, &c. &c., I-IV. - London: Nichols and Son etc., 1805.- 772+758+748+764 s.
'For the first volume, up to the discovery of America, Macpherson is wholly responsible. In the second and part of the third volumes (1492-1760) he merely edits and alters Adam Anderson's History of commerce. The remainder of the work, bringing the history down to 1801, was compiled by Macpherson from official records'. EU: Notices from European Union institutions and bodies council tenth annual report according to operative provision 8 of the European Union code of conduct on arms exports (2008/C 300. The European Network Against Arms Trade ENAAT 1984-. US tactical nuclear weapons in Europe, 2011. / : Robert S. Norris ; Hans M. Kristensen. I: Bulletin of the Atomic Scientists January/February 2011 vol. 67 no. 1 64-73. Hans M. Kristensen: U.S. Nuclear Weapons in Europe : A Review of Post-Cold War Policy, Force Levels, and War Planning. Natural Resources Defense Council, 2005.